The only prerequisite when making a donation is this: you have to care. You don’t have to be a millionaire to make a difference. That small amount you give has the potential to relieve a weary body of pains and improve an elderly person’s quality of life. There is an urgent need for donations to support the needs and treatment of the elderly, most especially the abandoned elderly. 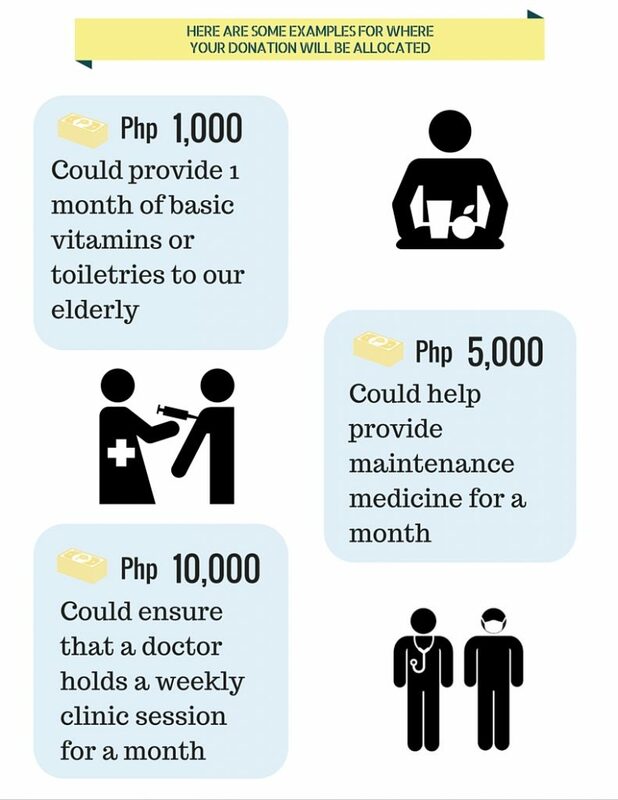 Sadly, statistics point to approximately 1.5million abandoned and abused elderly in the Philippines. Imagine what your donation could do for them. You would be contributing to their peace of mind, leading to healthier and fuller lives. There is an urgent need for donations to support the needs and treatment of the elderly, especially those who were abandoned with no more family or relatives to support them. Donations are more than welcome because the additional aid will provide assistance to our seniors for them to lead healthier and fuller lives.